There are new styles emerging everyday in the Jewelry world. I’m sure many of you heard about the latest contemporary metal for men’s and women’s rings but there are some important details you should know. Tungsten is an incredibly durable, affordable, and stylish option for wedding bands. Due to the hardness of the metal, sizing is limited and the wearer must be aware that the ring typically cannot be cut off with normal jeweler tools. 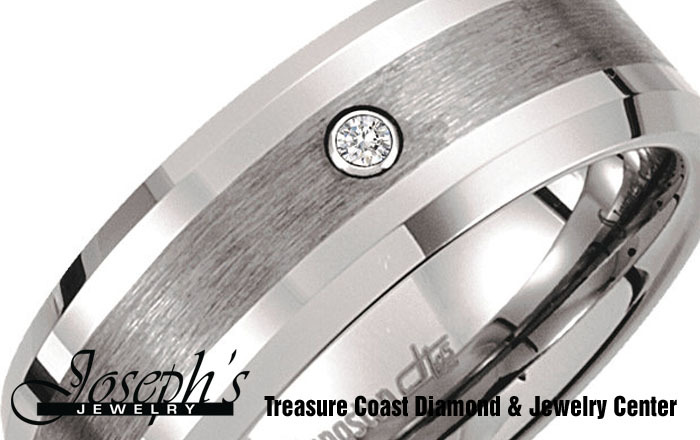 Joseph’s Jewelry has a large in stock assortment of tungsten rings as well as the ability to order many more styles. Visit our knowledgeable staff for more information and to find you future Wedding Band! ABOUT: Tungsten rings are forged together at 1,400 degrees Celsius to form rings that are virtually indestructible. This metal is scratch resistant and always looks permanently polished. CARE: Clean with soap and hot water, alcohol, or a steam cleaner. Do not use any other cleaners or chemicals for cleaning your ring. The potential for cracking does exist, so keep your ring away from extreme forces. Your jeweler may polish any gold and silver inlays. 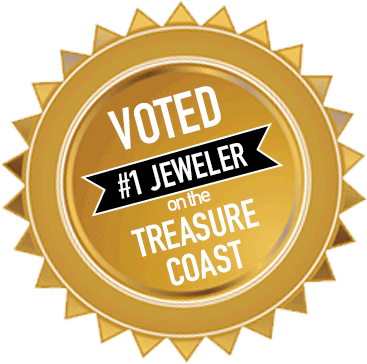 Voted #1 Jeweler on the Treasure Coast. Pink Diamonds! : The very rare and very expensive! Amethyst: Origins and general information!